I suggest you choose what you want to end or let go of – a belief, a way of operating, a relationship, a professional situation/job, stress or worry, etc. You know what has outlived its usefulness – and you can take actions to release it deliberately and move forward with your life. If it feels especially challenging, this your stretch. It’s beyond your comfort zone (which is the point!). With courage and support, it will be life-changing, and know that whatever it takes to do it is how you will build your internal muscle and learn to trust yourself – and life – and come out feeling even more empowered! Being proactive is always more empowering than feeling reactive, so I suggest you decide how you want to move forward on this Lunar Eclipse. I don’t know how much of what occurs in life is determined by fate and how much is by free will, but I do know that if you believe you have no power, you will create experiences to prove you’re right. The day after the Lunar Eclipse, we have a Mars (action) – Neptune (dreams) opposition. This can diffuse actions or activate passive-agressive behavior. If you feel compelled to take action, allow your intuition to guide you and move gently in flow. The weekend is your lead-in to Mercury Retrograde, which officially happens on Monday, Oct 21st until Nov 10th. Get ready to slow down and double-check everything. You should already have prepared by backing up your info and making major purchases, but if you haven’t – save your receipts! 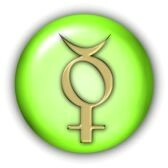 In order to avoid swimming upstream and having to return or fix things, wait to make major purchases until Mercury goes direct in mid-November. If you take actions to begin anything new, know that you will likely be revising your plans going forward – or that any new contract may not stick. 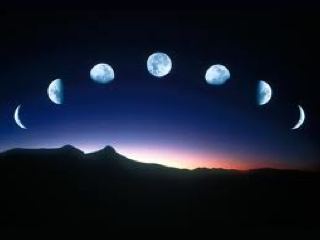 Utilize this time to assess where you are, course correct, complete old projects and anything left undone, make amends, clear clutter (physical, mental, emotional) – and ultimately make plans to move forward and create your next incarnation. The making plans part will come later – first, we all have some clearing and cleaning up to do. What a fabulous opportunity! If you align with the energy, it can be an awesome experience. We’re in between Eclipses and in Mercury Retrograde. This is not going to be an experience we’re used to, so stay focused on your goals and intentions as you take appropriate actions. Align with your Higher Self, knowing that you will always be on the right track when you listen to that still, small voice within.